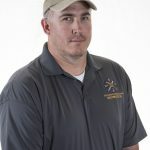 James is currently serving as a fulltime member of the New Mexico Army National Guard (NMARNG) and has served honorably for over 14 years as both a Commissioned Officer and Non-Commissioned Officer (NCO). As an NCO James was an instructor with the Army’s Warrior Transition Course (WTC) for 4 years. 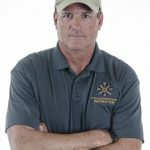 As a WTC instructor James instructed over 2,400 new Soldiers on basic rifle marksmanship, land navigation, Army communications, drill and ceremonies, Army physical fitness, Army Combatives, and basic Infantry technics. As the Range Operations Manager for the NMARNG, he is responsible for the timing, coordination, and safety of combined arms firing exercises which involves armed aircraft, maneuvering, mounted and dismounted types of indirect and direct fire. He is directly responsible for developing and enforcing the installation range safety program and directs preparation and staffing of all installation range safety publications. During live fire exercises he serves as the Range Control Officer, providing oversight for range and firearm safety for 2,800 Soldiers each year. He has instructed and certified over 200 Soldiers in the last 5 years as Range Safety Officers and Officers In Charge for NMARNG live ranges. He is experienced in providing instruction on the M9, M16, M4, M249, M2 .50 cal, and the MK19 automatic grenade launcher. James has a Bachelors degree in Criminal Justice with an emphasis in corrections.